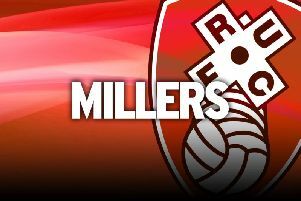 Rotherham United manager Paul Warne has identified seven potential targets for a January transfer window which will have a big bearing on their Championship fate. The Millers have hit a wall in the league in recent weeks, losing the last three, and having not won in nine games they have slipped into the bottom three. They are in desperate need of fresh blood this month in a bid to kickstart their campaign and Warne has given his recruitment team a list of players. He will be happy if up to four of them can arrive in January. “I've given my recruitment team the seven names I want,” Warne said. “It's their job to go out and try to get them. Then I'll have to meet players and all that. The ones I think will improve us. “I'm not saying I'm signing all seven but they're the seven from which the two or three or four will come from. “The lads are doing really well for us and I don't want to criticise them in any way, but everyone needs to improve their squad. “We need to turn some of these good performances into points. That might happen with a different player here and there. Their 2019 starts with a crucial game against Preston at the AESSEAL New York Stadium on New Year's Day. But Warne has selection issues after the late defeat to Bristol City on Saturday. Billy Jones and Richie Towell are both suspended after their red cards at Ashton Gate while Jamie Proctor is out for an unspecified amount of time due to a groin injury. Zak Vyner does come back into the fray after being ineligible against his parent club. Warne wants the spirit his side showed in defending valiantly with nine men to inspire them in future. “We failed to defend one cross into our box,” Warne added. “Had it not been for that mistake, my players would have left the pitch feeling like gladiators and it would have been a real lift for the games ahead.